of Duffus Park in Cupar, Fife, Scotland. 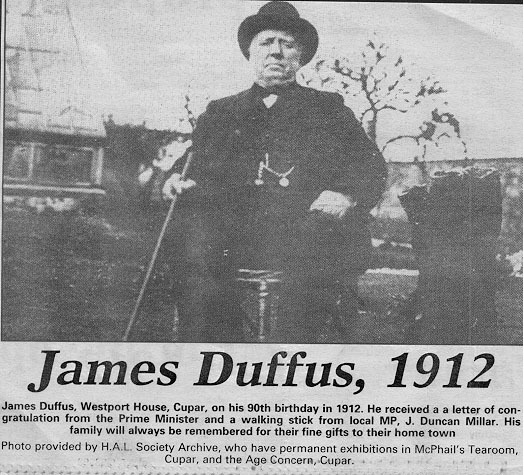 Many thanks to John G. Duffus of Dundee for this newspaper clipping. The Board of Regents recognized Tonya Robery, the Student Nurses' Association and Dr. Lee Duffus for their service activities at the BOR meeting held on campus in mid-January. The BOR Distinguished Community Service Awards were in September 1997, by Chairman Stever Uhlfelder to recognize the significant impact students and faculty members make through their community service efforts. Uhfelder has made community service a top priority during his tenure as chair of the Board of Regents. The awards build public awareness of the contributions our state universities make to the communities they serve. Dr. Duffus has a long and impressive record of commitment to higher education and commitment to his community. He emigrated from Jamaica to pursue a university education and graduated from Purdue University as a Doctor of Philosophy in Marketing. Although his community service is noteworthy in many areas, he was recognized with the BOR Distinguished Community Service Award for founding and nurturing the Public Schools Enrichment Partnership. PSEP is an umbrella organization for several public school based programs whose aims are to enhance achievement and attainment of opportunities for minority and disadvantaged students in Southwest Florida. Mary Ann Sotelo has a bright future - one that's already glowing. She'll spend two years at Edison Community College, two years at Florida Gulf Coast University, then she hopes to teach elementary, middle or high school in Naples. Schools Enrichment Partnership with Florida Gulf Coast University. All it took was hard work, community involvement and a commitment to Southwest Florida. Mary Ann also had to be a member of the PSEP's Scholar's Club. One student in Lee County and one in Charlotte County were also awarded the scholarship. The co-curricular Scholar's Club honor society and the PSEP were created 10 years ago by Lee Duffus, interim director of the executive MBA program at FGCU. The idea was to created an atmosphere of success for minority students to help them make it to college. "It's to provide an opportunity for many kids who normally would not have the resources to go to college," Duffus said. "This is an instrument so they can become successful, contributing members of the Southwest Florida Community." PSEP board member Pat Cacho says he got involved to help minority students improve their academic achievement. "If you look at school test scores in Lee or Collier counties, white kids perform at the 70th percentile and the minority children perform at the 30th percentile," he said. "The idea of the Scholar's Club was to select minority kids doing a little better than average and create an honor society for them in hopes that they'll be role models for other kids to try to bring them along." To become a Scholar's Club member, students in elementary, middle and high school, must have a 2.5 grade point average, write an essay and be recommended for the club. This month Scholar's Club students across Southwest Florida were saluted at the 10th Annual Scholar's Club Recognition Banquet and Awards Ceremonies at Harborside Convention Hall in Fort Myers and Naples Beach Hotel & Golf Club in Naples. Mary Ann, the student president of Collier County's Scholar's Club, was chosen for the full scholarship for a variety of reasons. "She was selected based on a combination of her GPA, her community and school services, her school activities and her leadership as well as her desire to attend college and remain in Southwest Florida," Duffus said. Mary Ann says the club helps minority students take pride in themselves. "I am very proud of being Mexican-American and I know there will always be discrimination in the world," she says. "But by getting an education, I will show others that your race and skin color do not matter." Mary Ann's parents both dropped out of school to help support their families. Her father was born in Zacatecas, Mexico, and came to the United States looking for work. Her mother was born in Sinton, Texas. She says her parents have always emphasized education, even sacrificing to hire a tutor for Mary Ann when she needed help in algebra II. But her faith plays a large role in her life. She even prayed about the scholarship. "I said, 'God, you are the owner of all the money in the world,'" she said. "This is a blessing," she says of the scholarship. The family is in financial need and her parents are relieved to know Mary Ann will get help. The PSPE raises money through private donors, businesses and fund-raisers. 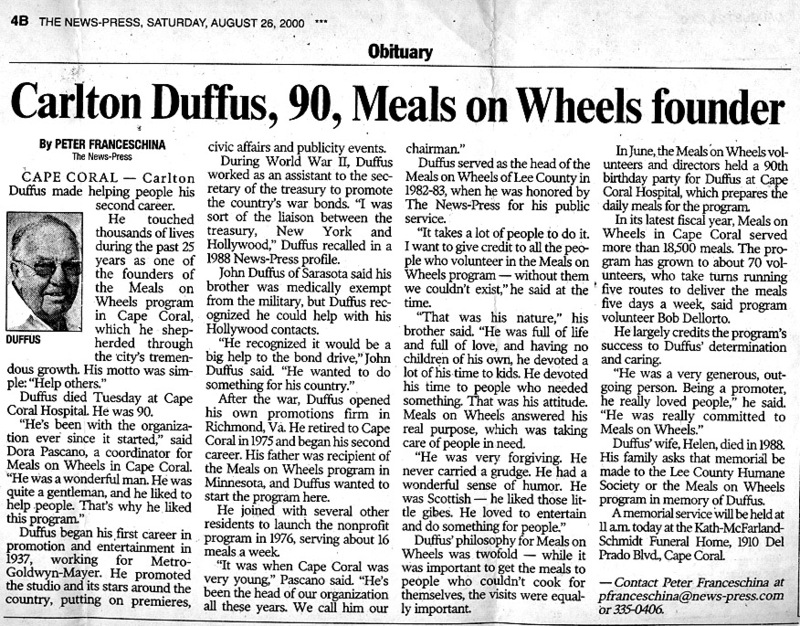 For more information on the organization, call Duffus at 948-1815.